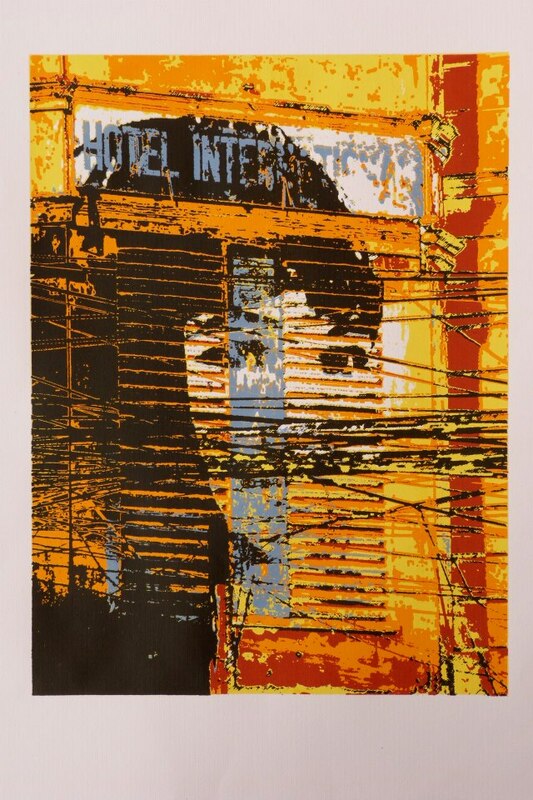 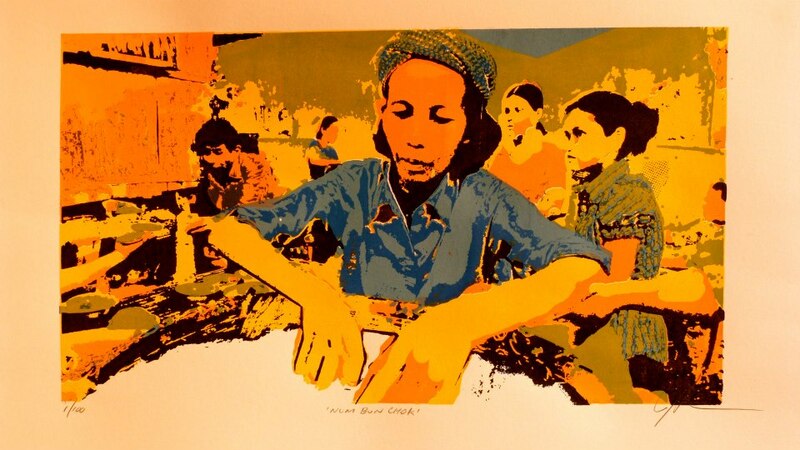 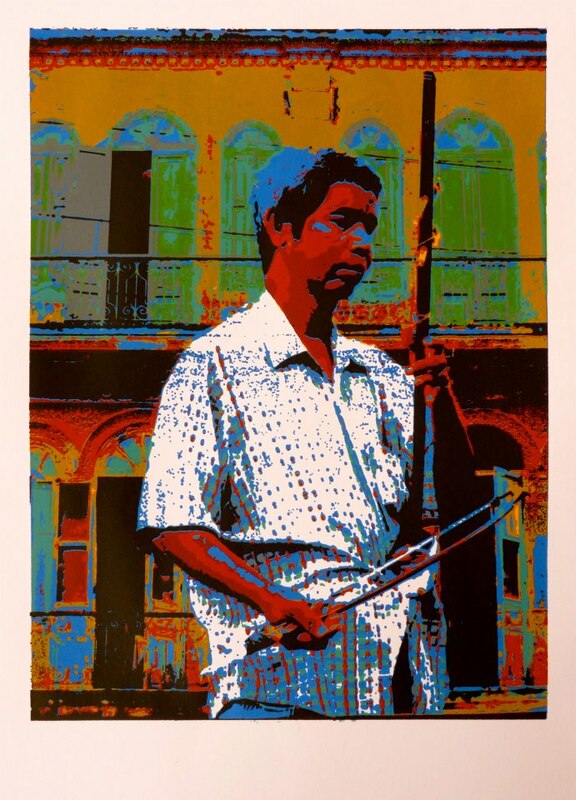 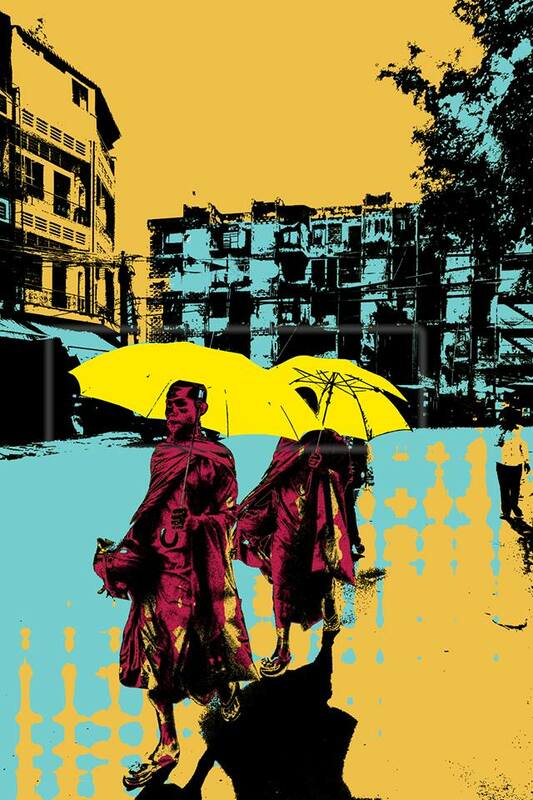 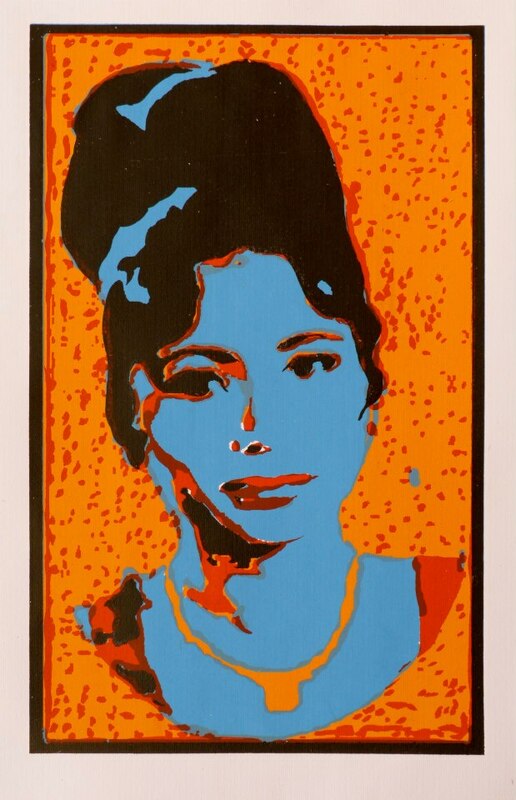 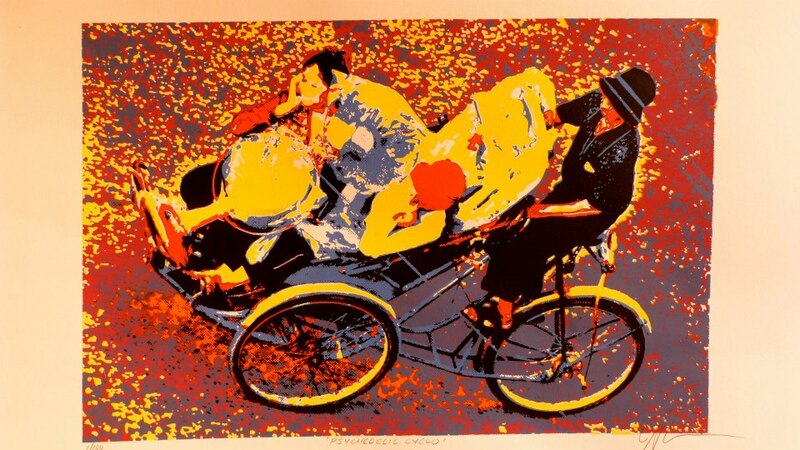 Join us for an exhibition of limited edition screen prints depicting 60s psychedelic Cambodia. 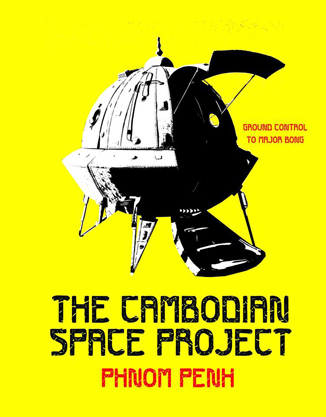 Artist and musician Julien Poulson will show 30 designs and will perform live with his band Cambodian Space Project. 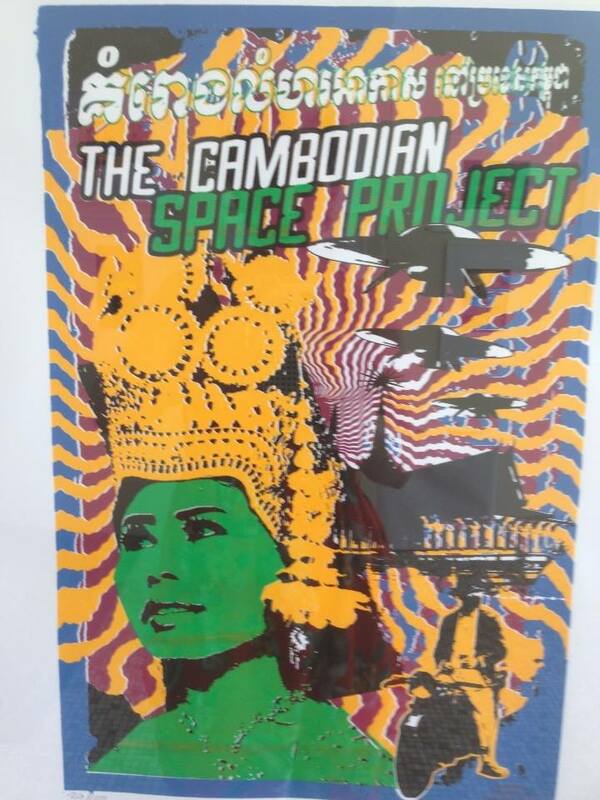 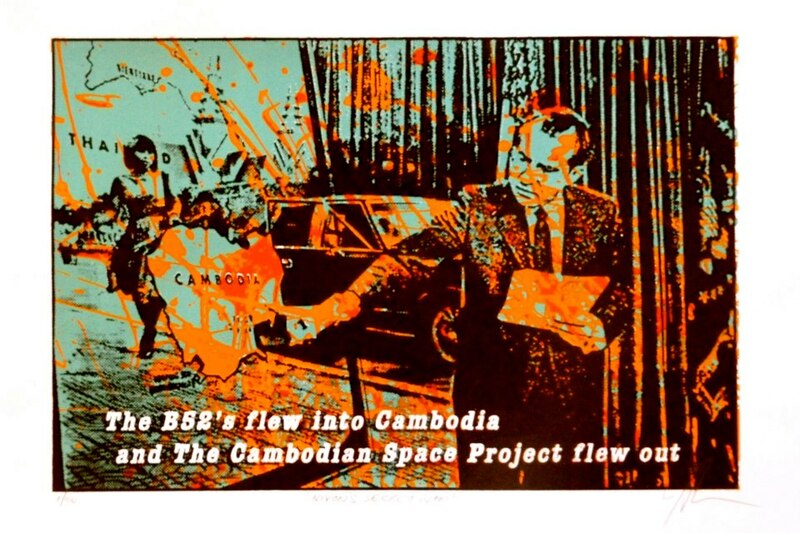 Sticky Fingers Art Prints Cambodia began as spin-off from creating designs for The Cambodian Space Project ‘ Cambodia’s premier psychedelic rock band. 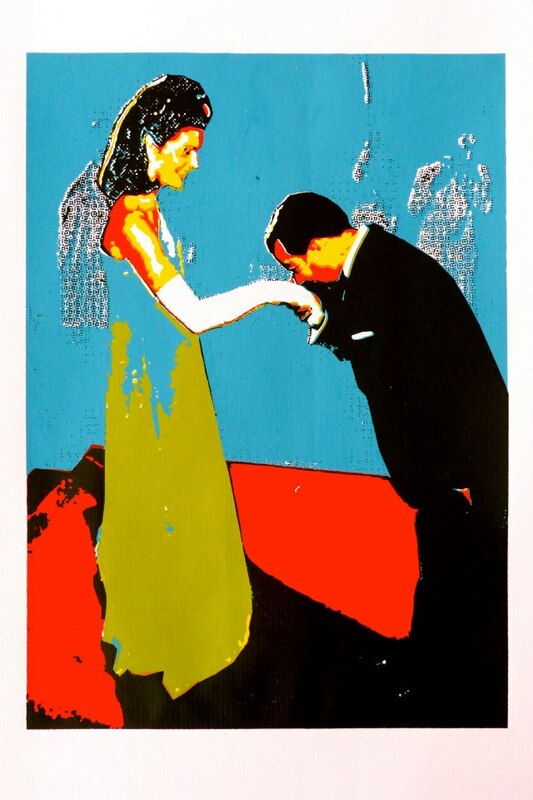 Now Sticky Fingers has taken on a life of it’s own! 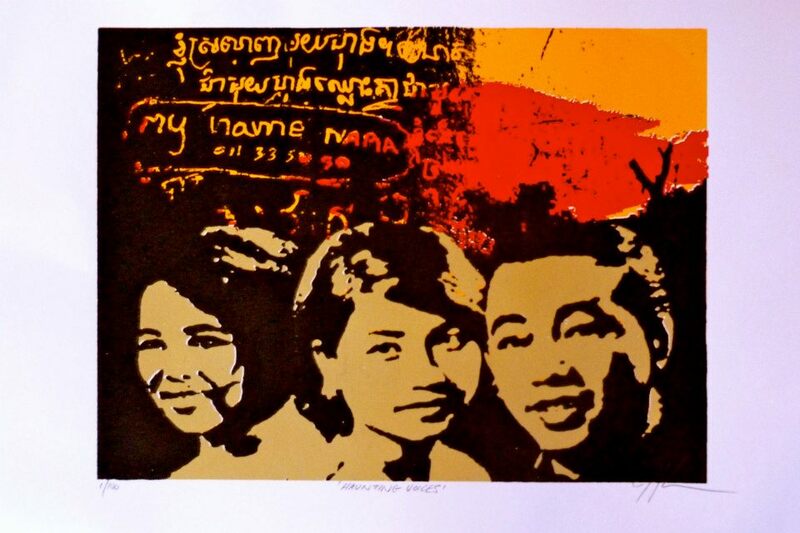 They have opened a shop in Phnom Penh and a print maker’s studio where they provide training and work for a super cool team of young Cambodian print makers and artists. 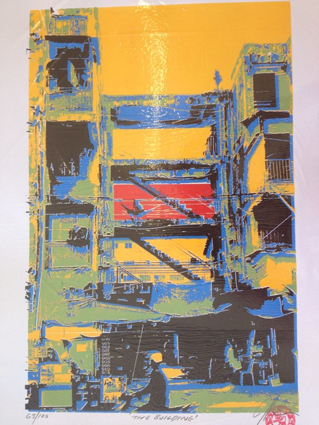 Works are $150 each unframed or $200 poster framed. 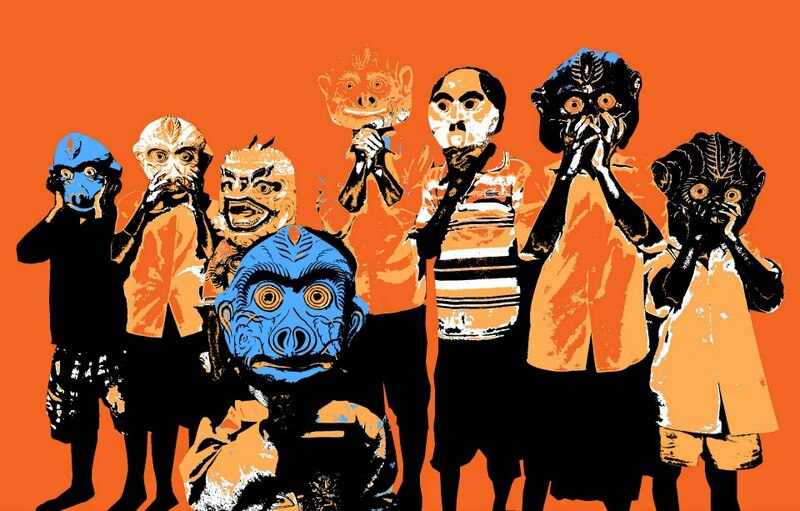 Some examples are below.